A Roy Rogers drink is a non-alcoholic drink usually made with cola and grenadine syrup. It is frequently called a “cocktail,” but this can be misleading because the generally accepted definition of a cocktail means there is alcohol in the ingredients. 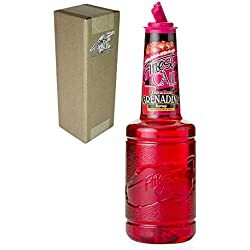 Since a Roy Rogers drink is non-alcoholic, it is also sometimes called a “mocktail” or a “kiddie cocktail.” Because it contains grenadine syrup, it is also sometimes called a “grenadini.” If you are unfamiliar with grenadine syrup, please scroll down beneath the recipes for more information. Fill a highball glass with lots of ice. A “highball glass” is a glass that holds 6 – 8 fluid ounces and that has tall, narrow sides. You don’t need an actual highball glass, any glass of about the same size will do. Add 6 – 8 ounces of cola. Add 1/4 ounce of grenadine syrup. Garnish with a maraschino cherry and/or a lemon wedge. Fill a highball glass with lots of ice. Again, you don’t need an actual highball glass. Add 4 ounces of ginger ale. Add 2 ounces of lemon-lime soda. Add 1 teaspoon grenadine syrup. Garnish with a maraschino cherry and/or a slice of orange. 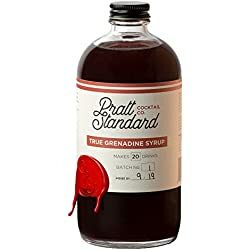 Grenadine syrup is a bright red, pomegranate flavored syrup. 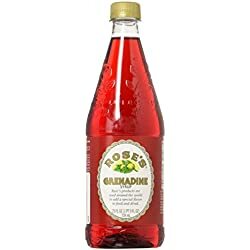 It is sometimes made from pomegranate juice, or may be made with other fruit concentrates. 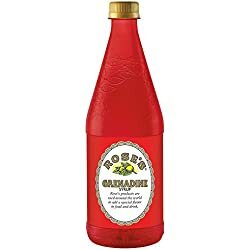 It is very sweet and usually used in small amounts. 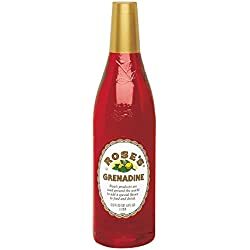 Most grenadine syrups do not contain alcohol, but a few versions of the syrup do. 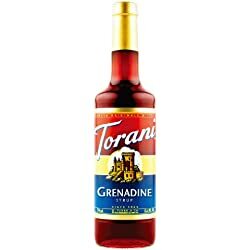 Check the ingredients on the label of any grenadine syrup you’re considering using to find out for sure.